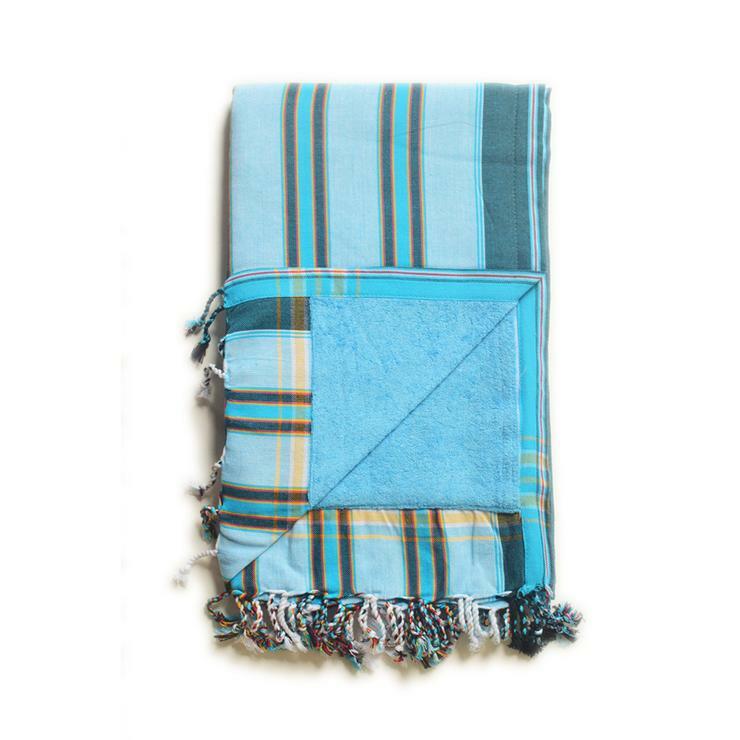 Soak up some sun with the Blue Nautical Stripe Kenyan Beach Towel! Our fair trade Kenyan Beach Towels are ethically crafted in Nairobi, Kenya. We back lightweight and absorbent hand-loomed cotton kikoy cloth with quick-dry microfiber terry for extra absorption. The hidden velcro pocket in the interior is perfect for storing your keys or phone! Kikoy is a traditional fisherman’s sarong. This lightweight, colorful, and quick-drying cloth forms the basis of our luxurious beach towels!